Bulova didn’t invent the use of tuning forks to measure time – but they were the first ones to pack the technology into a wrist watch. 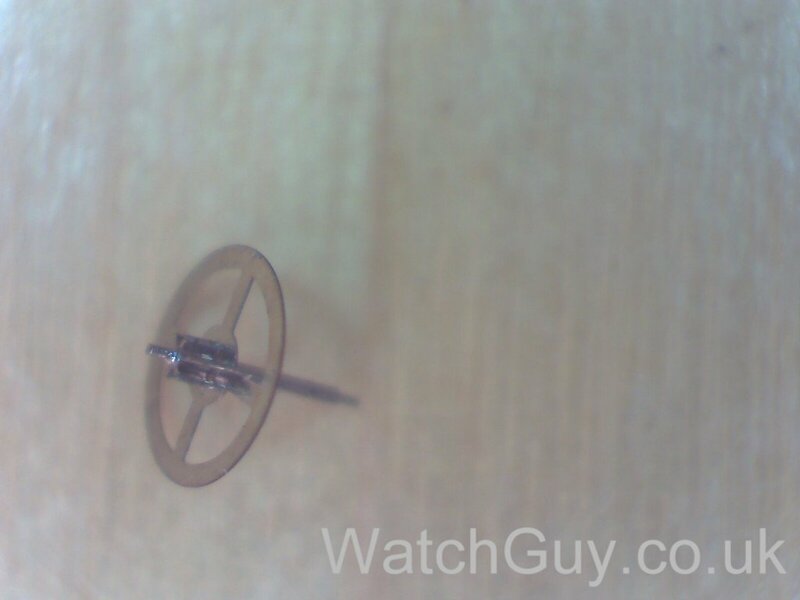 One of the great inventions in watch making in my humble opinion, and a great piece of technology. The watches are mainly mechanical. 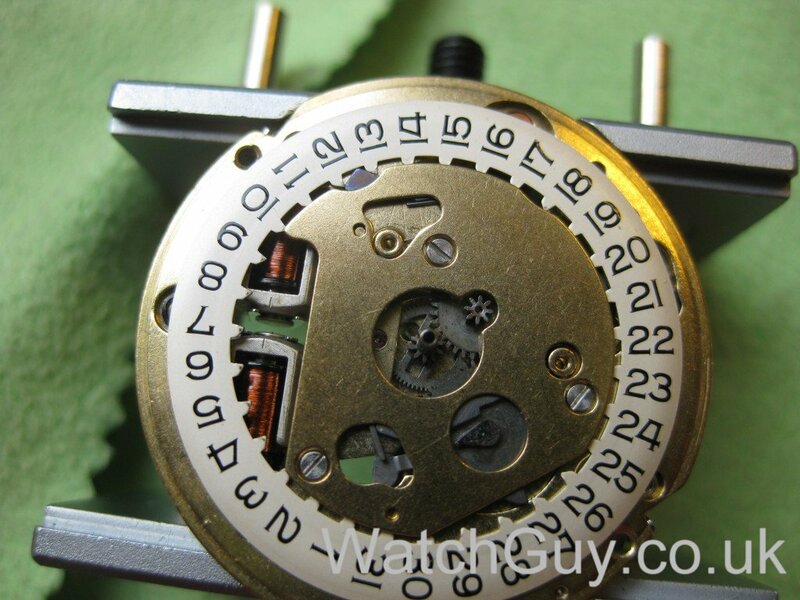 Instead of a balance / hairspring oscillator, the Accutron uses a tuning fork that swings. 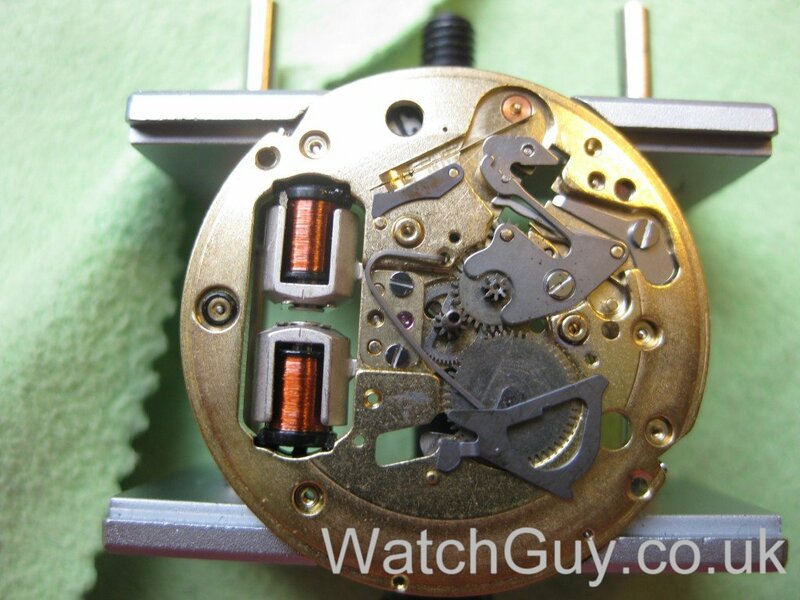 The electronic part is keeping the tuning fork swinging – all the rest is done mechanically. I got this one off ebay and it’s not working – that’s why I paid £ 37.50 for it. But for this post, I will only take it apart and have a look at some details, and put it back together at a later time. 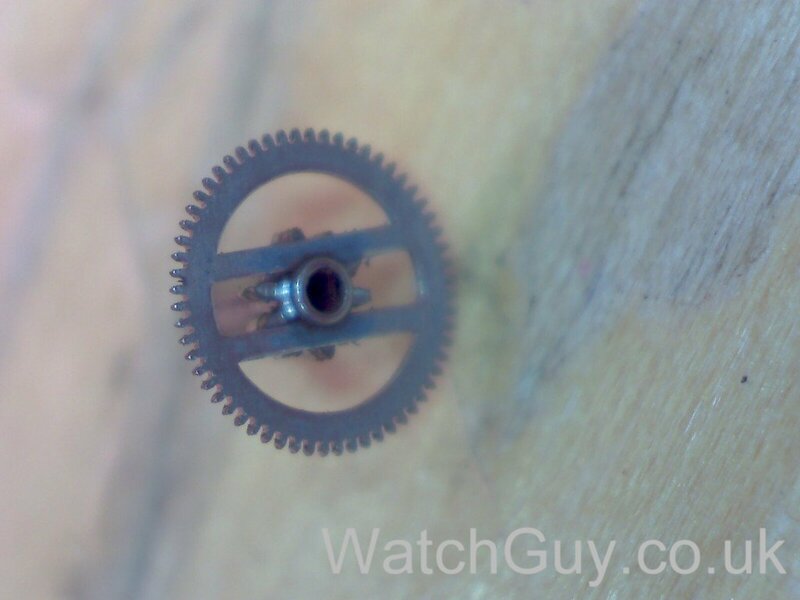 One huge difference to a conventional mechanical watch is that the power flow through the wheel train is inverted. Whereas in a traditional watch, the spring barrel provides the power and the balance keeps the watch from winding down quickly, it’s the tiny little wheel at the bottom (called the index wheel) that is driven by the tuning fork, which then drives the other wheels of the wheel train. So there are minimal forces at work, and the movement probably will take centuries to wear out if properly maintained. The index wheel has 320 teeth. 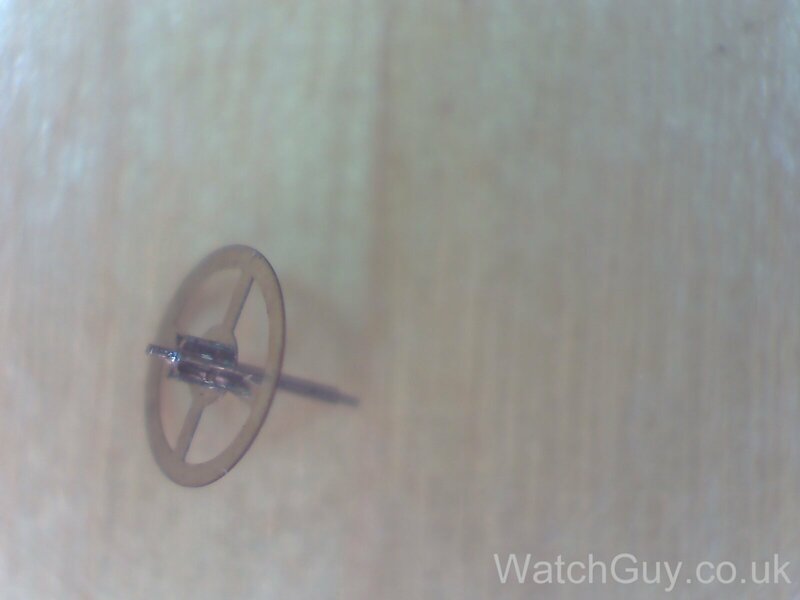 As the tuning fork swings at 360Hz, the index wheel makes 1 1/8 turns per second. The coil on the left side has two coils – one is used to switch the transistor, as a small current is induced in the coil every time the fork swings. The transistor then switches the second coil within the left coil and the right coil on and off, pulling the fork ends and keeping it swinging. The capacitor and the resistor are there to provide an initial oscillator to start the tuning fork swinging when the watch is switched on. I even found the original Accutron218 Service Manual on the internet – you can see a detailed description of the parts and their function in there. Time to check the coils – they tend to be the main source of electrical problems. Apparently, the transistor, capacitor and resistor rarely cause problems. I take out the screw at the top that connects the left and right coil to separate them and I take out the battery. I measure the resistance as shown in the drawing. The two infinite resistance measurements aren’t good. It means that the coil that pulls the tuning fork on the left side is shot. 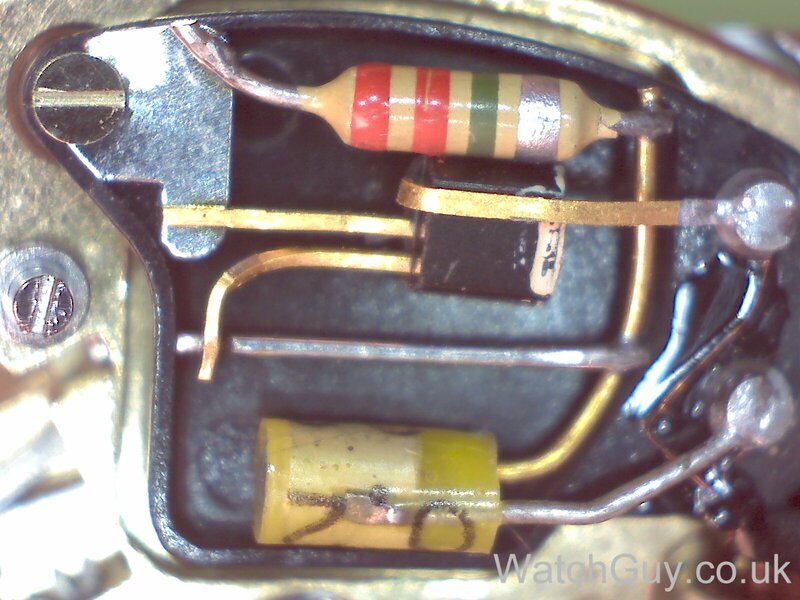 The coil on the left that is used to trigger the transistor is fine, but that’s no consolation. This means I need a left coil assembly. If you have one lying around, please contact me (e-mail address on the “About” page). Otherwise, it’s another Accutron less in this world. 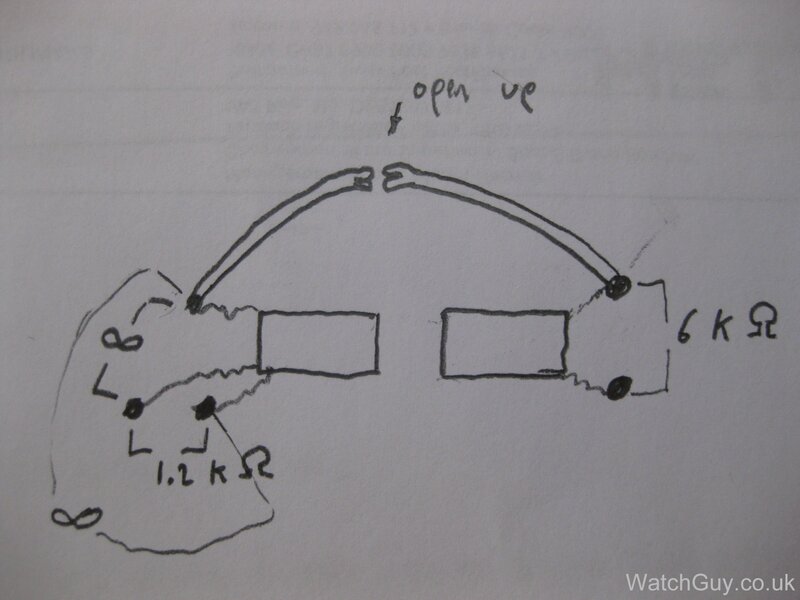 This entry was posted in U.S.A., Wrist Watches by Christian. Bookmark the permalink. What kind of battery is used in this movement? There is this new fantastic invention called “Google”. Not sure you have already heard about it, but it’s quite fantastic. I have a Bulova Accutron serial number 3748969, with another number inside 3704-4. Anyone know what model it is? It looks like an Accutron 220 Stainless stell, but is gold plated. Bulova timepieces are my favorite choice.Their craftsmanship is so admirable, Bulova is among the few brands that can offer a high-quality watch at an affordable price. 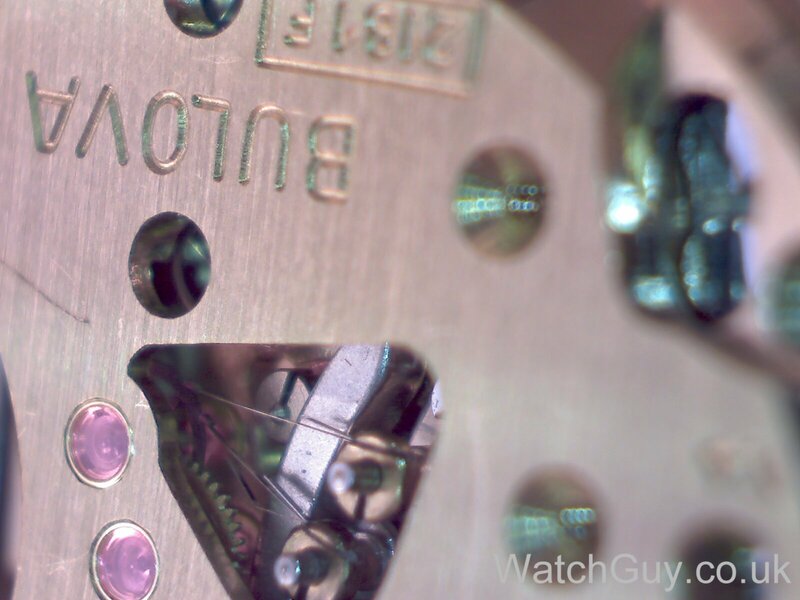 I have a Bulova Accutron purchased on 27.11.2011 .On the back I can only read the following : C880765 A9 SAPPHIRE CRYSTALS WATER RESISTANT 30 M . The hour hand and minute hand do not move but the Chrono 60 second timer moves . There is no movement in the 3 small dials on the watch face . What could be the fault ? The cannon pinion clutch is rusted – at least that’s my guess. Gareth: The 219 is a simplified version of the 218. Yes, perhaps lower power consumption, but some claim it’s not as good a movement. I personally don’t see enough difference, everything else (price, case model, dial type, condition, etc.) being equal, to real’y make one a better buy than the other. Repairs: There are very few actual trained and equipped tuning fork Accutron repairmen around. 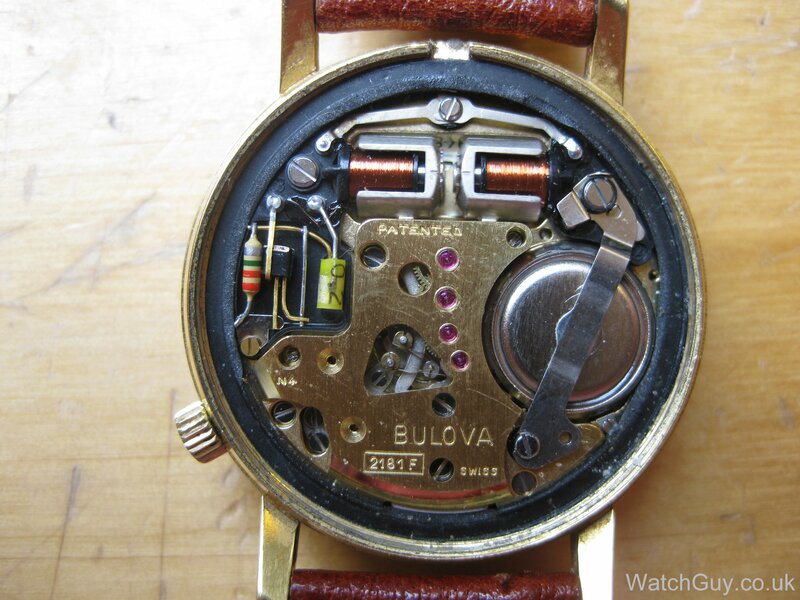 Bulova had a special course, which shut down after they stopped making the Accutrons in 1977. Some who claim to be Accutron repairmen really aren’t, and some of those who are are ridiculously expensive. And some are even less than completely honest. I do have 2 recommendations, both, unfortunaterly, in the US. But both are qualified, equipped, and honest. One is Boomertime.com, the other Mybob.net. Bob might cost a bit more, and Boomer is almost always backlogged, so it’s kind of a tradeoff between cost and time to get the repair done. I have a 214 Spaceview which I bought new in 1970. 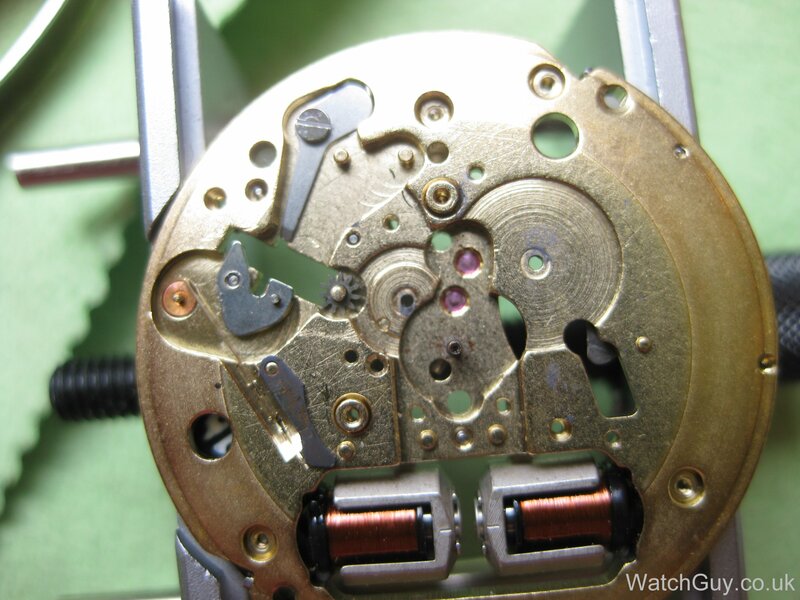 The adjusting handle (D ring) on the back which folds out to operate does in fact hack the movement. Slacken–but dont remove the battery hatch until watch stops. Batt is now disconnected. 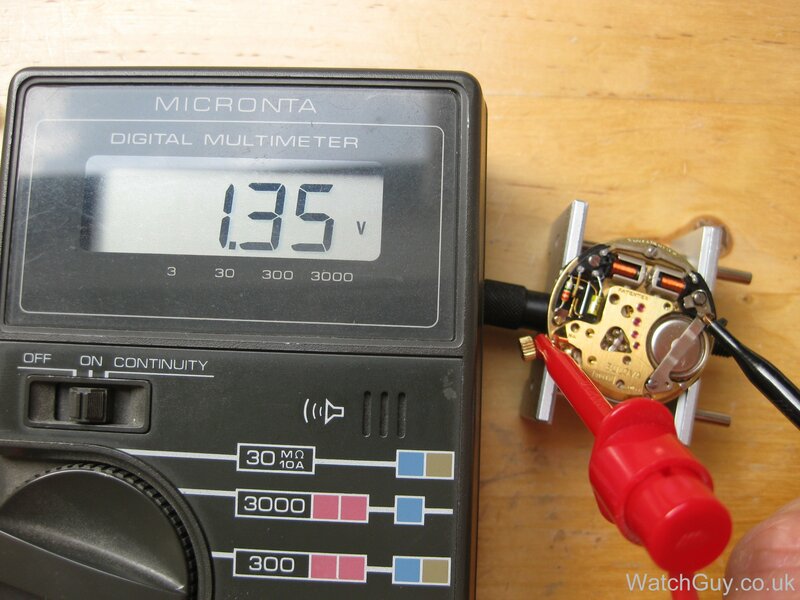 Not a great idea to leave even a new battery in a watch for more than required when not using–risk of leakage when left in storage and forgotten about is too great IMO, Its happened to me, I have a nice 2182 -Somewhere- that has by now a dead batt, but can’t find it anywhere!. -First casualty will be a coil if batt leaks, (even with a modern quartz–but who cares about them!) Accutron coils are getting harder to find NOS and more expensive every month….. I have an Accutron with the original gp’d flexible strap. The reference No inside is 2171 no alpha letter after No though. Left to me by father in law. Must be 40 years old, but not working and woukld like to get it fixed, not the battery, tried a new one. Did try the Bulova website for suggestions as to a repairer, but no answer. Any suggestions? Live London. regards and thanks in anticipation of any response. Please try Paul Wirdnam (electric.watches@gmail.com). How do i remove the dail on the 214? I want to convert my 214 into a space view but dont know how to remove the dial. No–Really Dont do that! Not just as simple as it sounds and extremely easy to trash the movement if you dont know what you’re doing–which is obvious!! On the down side, the date doesn’t always change @ midnight (a common problem with this model). I changes fine manually, however. I was interested in the idea that the mechanism might last for centuries. I suppose that could well be for the wheels and spindles, but I’ll put money on the resistor going high or open circuit and the transistor internals disintegrating long before. I have a bit of experience with elderly valve (tube) radios from the 1940s and they often have huge numbers of components which are way out of tolerance. Capacitors are the worst culprits from that era, but resistors and also transistors just die as the materials break down. 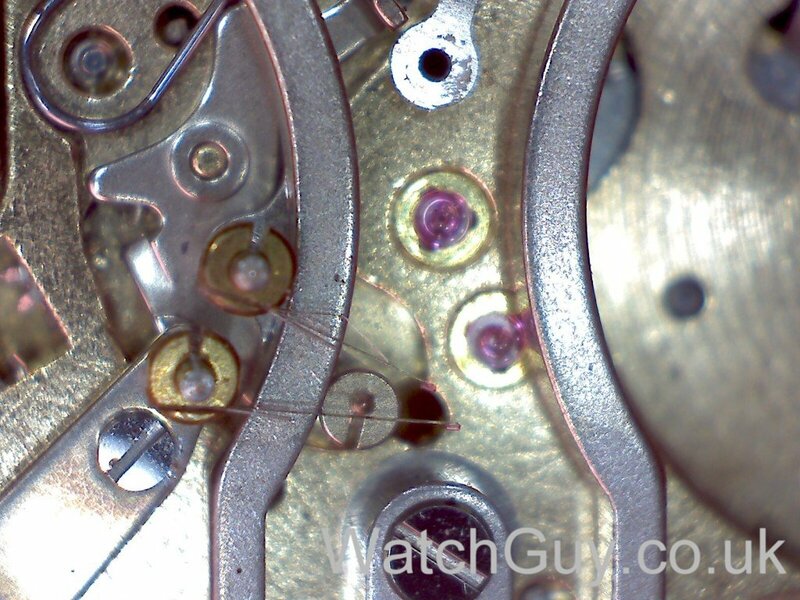 Some semiconductors from the 1960s grow long crystals on their junctions which short out the darned things. An interesting device nonetheless. The pawl fingers look incredibly fragile. Should have been more specific… I meant the wheel train. Surprisingly enough, it appears that the electronic components last quite well. It’s the coils that cause most of the problems. 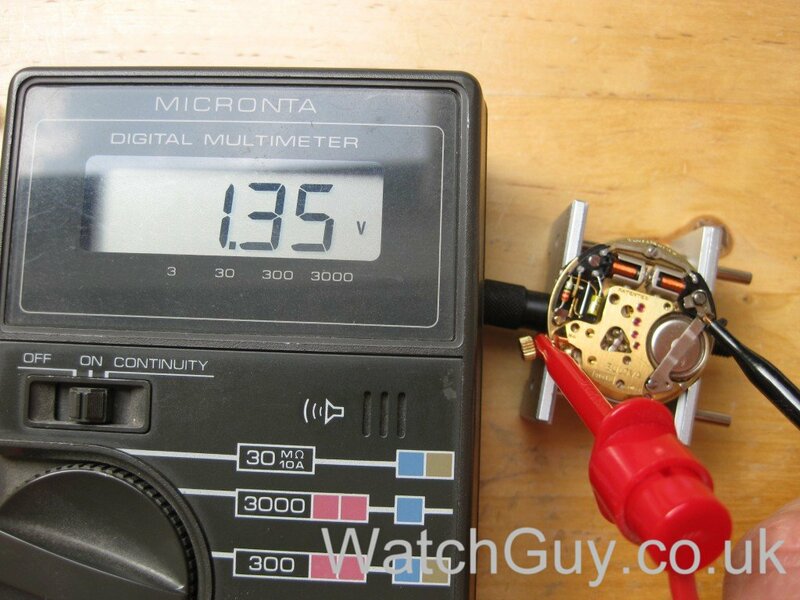 Resistor is nearly always well in spec, and only mis-use seems to kill the Transistor. Coils rot of course,–only option in that case is to replace. very interesting! I have to say, though, that bending a transister lead backwards on itself and re-using the excess from the resistor lead as a jumper is horrendous aesthetic design! Those electronics are screaming “cheap”! Still a cool concept for a movement though! Makes me want one! Should be part of any watch collection, I’d say – especially as you can pick them up for around £100 – 150 in decent condition. Thanks for this interesting information. Your photo-microscopy is excellent. 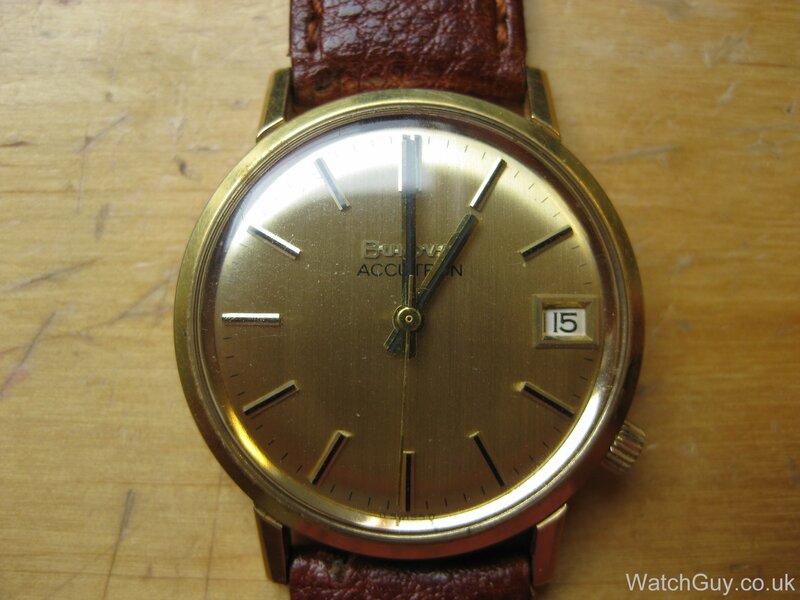 I have a small watch collection and I too remember the Accutron from the 1960s/70s; it is a legend and so I must have one! 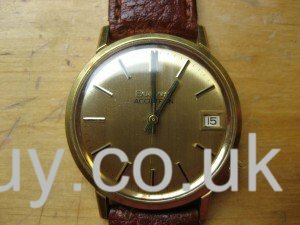 I’d been thinking of buying a 214 on e-bay because of the interesting crown and battery placement on the back of the watch. This appealed to me because of the intrinsic “waterproofness” of the arrangement. Now I’m torn because they don’t have a switch to turn off the battery between times being worn. Any advise on best model/year to buy? The later 218 movement is better in my opinion, but the 214 is more collectible. 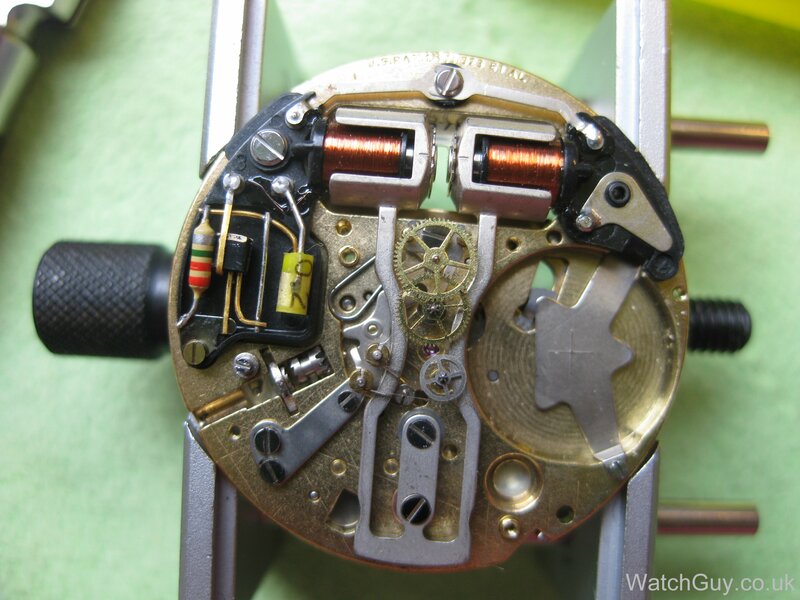 I’ve been looking at a 219 Accutron on ebay (seller’s name “anticvarius” – item number 351261636106) and in his excellent picture of the movement it appears there is only one coil visible. I wonder – how would that work? The “electrics” look a bit tidier though. There’s also a couple of 218s there (item numbers 351261635193 and 351269867410) with two resistors present. Later movements just have one coil, which works even better, as the movement has lower power consumption. Waterproofness was never a strong point with back-set 214, the setting stem ‘o’ rings are now upwards of 30 years old–Not replaceable either as far as I know. Consider any Back Set Accutron 214 series of the age they are now as Water Catchers–particularly in hot (sweaty) weather! Moisture is death to coils and movements, particularly salty sweat, which by Capilliary attraction will track up behind time-set crown and setting stem past (old rotten) stem-seal right into the guts of it……. For this reason all my 214 are on cuff type straps….